We are honored to welcome Elissa Tivona to our Board of Directors! Elissa is an instructor at CSU in International Relations and Journalism & Media Communications at CSU and brings a passion for design thinking with social justice nonprofits. 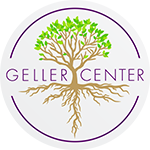 We are thrilled to welcome Alex as an intern to represent the Geller Center on the CSU campus and support student outreach. Alex also spearheads the Connections Project as a Geller Leader. We are so grateful to have Andrea on board as a temporary admin assistant to help modernize our filing system, databases, and historical documents. Andrea comes to us as the founder of Project: Homelessness and with a background in marketing and public relations.